Between Chappie opening this weekend (though to less than enthusiastic reviews and soft box office) and all the talk of his upcoming Alien movie, Neill Blomkamp has been all over the place (he’s even talked about the possibility of a sequel to his debut feature, District 9). 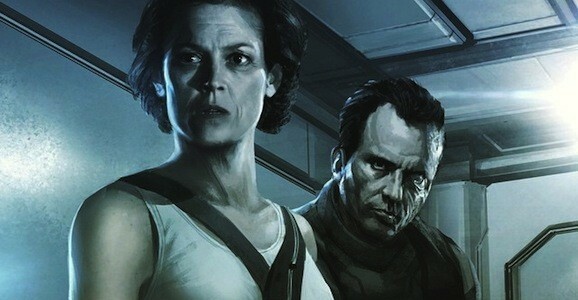 Every time he sits down to talk about Chappie, Alien pops up and steals the spotlight, but in one recent interview he indicated that there could be more than just the one film. It’s entirely possible that you’ve already seen this deleted scene from Back to the Future. This embed has been around for a few years, and apparently this clip has been around even longer (I guess a pretty obvious statement, isn’t it? ), but we’ve somehow managed to never see it, so it’s new to us and maybe it will be to some of you as well. And to top it all off, it’s super awkward and uncomfortable, which makes it even better. Take a look for yourself below. When it was released in September of 2012, Dredd was an absolute bomb at the box office. But the movie found a new life as people discovered it on the home video market, where it broke sales records and gathered a rabid fan base. Ever since, people have been clamoring for a sequel to the ultraviolent actioner. While that’s very unlikely to happen, producer Adi Shankar recently released this video that explains all of the things that would need to fall into place for Dredd 2 to actually happen. Check it out for yourself below. Academy Award nominated director Denis Villeneuve is most known for his tense, atmospheric dramas like Prisoners and Enemy. Though that last title definitely has touches of the surreal, the Canadian filmmaker has never really delved into the realm of science fiction, but he’s diving in head first over his next couple of films. It came out recently the he will helm the upcoming Blade Runner 2, and he is also set to take the lead on the sci-fi film Story of your Life, which just added two big time stars to the cast: Amy Adams and Jeremy Renner. Disney’s Tomorrowland is one of the more intriguing movies coming out this summer. We have a bare bones synopsis, and what footage we’ve seen looks fantastic, though it creates far more questions than it answers. But considering the source, and that it comes from writer and Mystery Box enthusiast Damon Lindelof, that’s not a surprise. A new trailer is set to drop Monday, March 9, along with a Facebook Q&A with Lindelof and director Brad Bird (The Iron Giant). To tide you over until then, however, the studio has released this new poster. This does, however, lead to one big question. 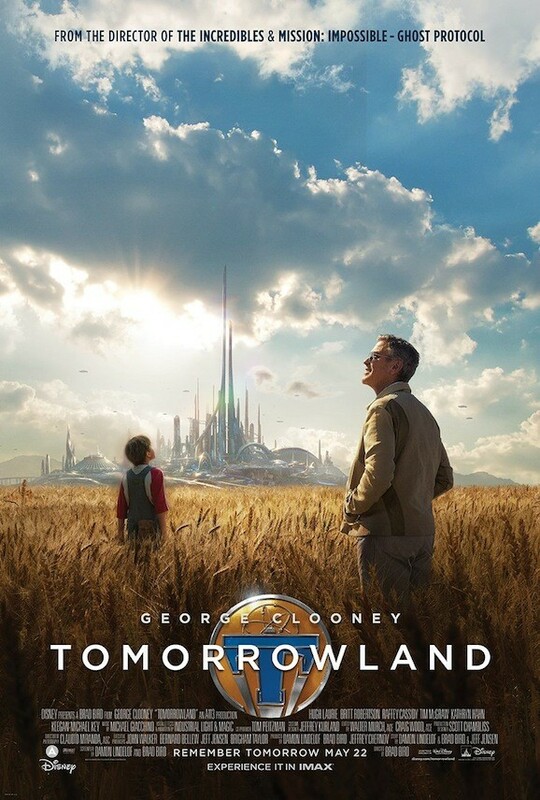 The one sheet shows megastar George Clooney standing in the field in front of futuristic city that we suspect is the titular Tomorrowland. That’s fine, it lines up with what we know of the movie and with what we’ve seen thus far.